Let your imaginations loose and develop your visual ideas in the most dynamic ways. 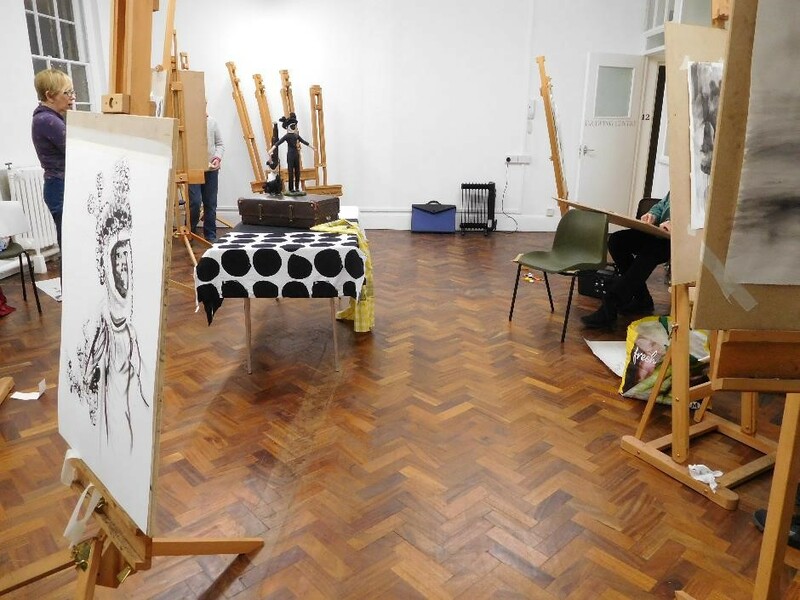 Above all spend some time in a pop up drawing studio with like minded people to develop your drawing skills. Sessions are running on Saturdays: 4th and 18th May and 29th June, 10am – 1.30pm. Each session costs £25 and includes a hot drink. These drawing days are a chance to spend concerted time in a pop-up drawing studio with like-minded people to develop your drawing skills. Whether you are new to drawing or have been drawing a long time, this workshop will expand your understanding of drawing, incorporating new techniques and ways of looking. Exploring Drawing sessions are lively and adventurous, designed to tap into your imagination and find new ways of working. Michele leads the sessions with short warm-up practices and more sustained drawing exercises during the day to push your normal drawing practice. In this workshop on Saturday 4 May, we will explore the relationship of the monochromatic painted gesture and drawing. Bring painting surfaces such as cardboard, paper, canvas, black and white paint, brushes and drawing mediums. Keywords for the session: Abstract, gesture, drawing, painting. Michele Whiting has been teaching Exploring Drawing courses here for three years and they usually sell out, so do book your space early to avoid disappointment. In this session on Saturday 18 May, we will write, develop and use energetic and diverse drawing strategies to bring a new perspective to what we have been making at home or in our studios. Bring a piece of work already recently achieved, notebooks, drawing paper and drawing mediums. Keywords for the session: Drawing, writing, strategy, mark making. This workshop on the 29 June will go back to basics to question how we look at things to draw and what we can do to enliven this process. Bring an object that you would like to draw – one that you find intriguing or challenging to draw, drawing mediums and sketchbooks or loose paper.